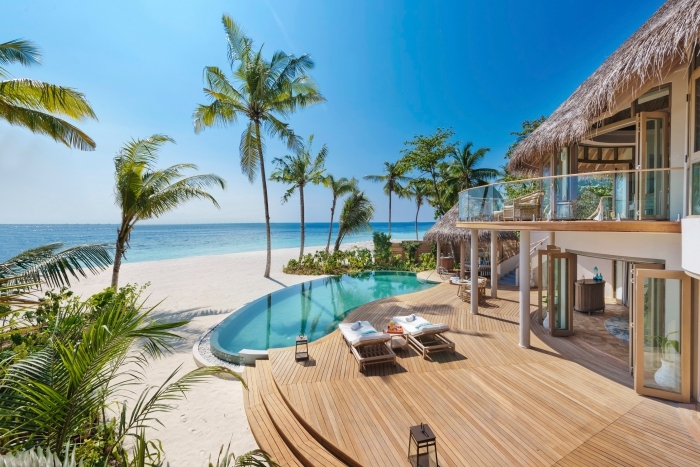 The vision of The Nautilus is to join the select group of private islands recognised as the best in the world. With its modern bohemian style, and concept of absolute freedom for its guests, who enjoy no rules, no dress codes, no set restaurant hours, no fixed menu choices, its driving philosophy is to make guests feel not only completely at home, but also as if time itself no longer exists. As a result, a stay at The Nautilus is noticeably different from anywhere else: here service is truly bespoke and activities follow the lead of the natural rhythms of nature and desires of the guest. 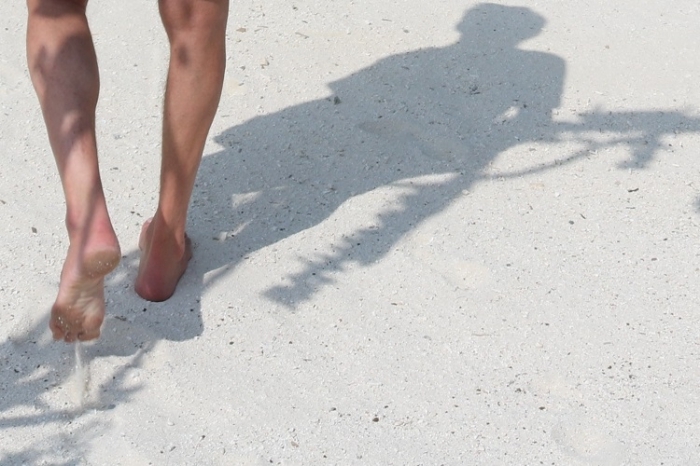 First steps on the island…. 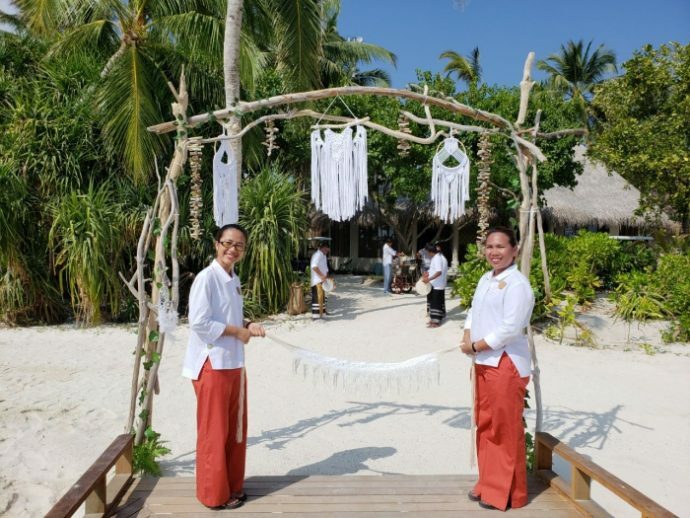 The entire team welcomed the first guests with champagne, traditional bodu beru and ribbon cutting ceremony, with the highlight being the ‘first steps’ on the island by guests. 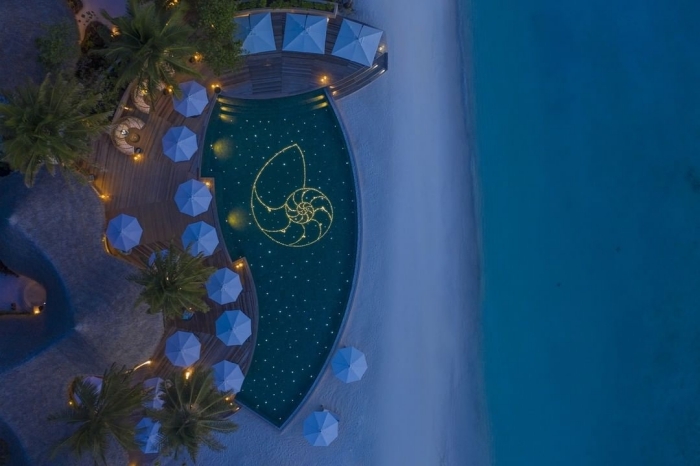 Celebrations continued on to the evening with sunset cocktails and the first ever ‘Nautilus Rising’ ceremony as the distinctive nautilus shell in the pool gradually comes alight, giving the appearance of rising out of the water. 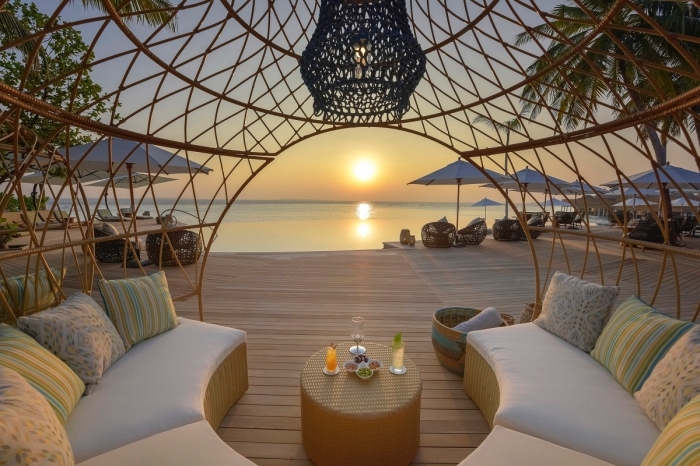 With only 26 beach and ocean houses on a tiny coral reef-encircled island, The Nautilus is a bohemian hideaway located in Baa atoll, the only UNESCO biosphere reserve in Maldives. Here, a kaleidoscopic wonderland of incredible marine life awaits discovery: trips to world-renowned Hanifaru Bay to swim amongst manta rays; diving on iridescent coral reefs; exploring remote sandbanks and deserted islands or just cruising the ocean on a custom-built yacht are amongst the many adventures guests can look forward to.